The minute you say “yes” to the one you love, savor the moment for a bit and begin to create your wedding checklist. This is because ideas start to pop-up in your head, to-do-list stretches long, and time starts to run fast. The way to stay sane, organized and meet deadlines while planning a wedding is by having a wedding planning checklist. Here, you will learn to create both complete wedding checklists and simple wedding checklist for any wedding. 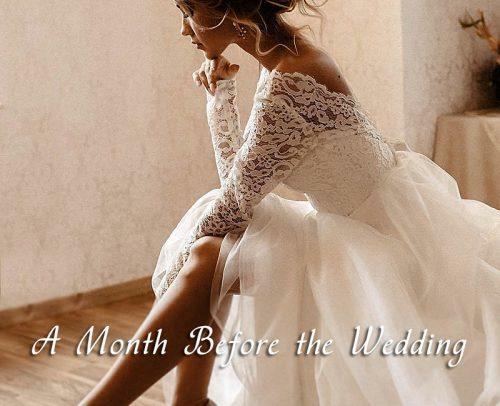 We will also show you how to use wedding planning checklist and beyond the wedding plan tips. If you’re a bit overwhelming and just want a few steps, download our simple checklist for free. Take a breather and get some calm, because the job at hand can drive you crazy. Draw a wedding list or download a free printable wedding checklist online, if you’re a busy person. Take off everything you don’t care for from the list by crossing them off with your pen. When you’re done, adjust timelines to suit your wedding date and plan. 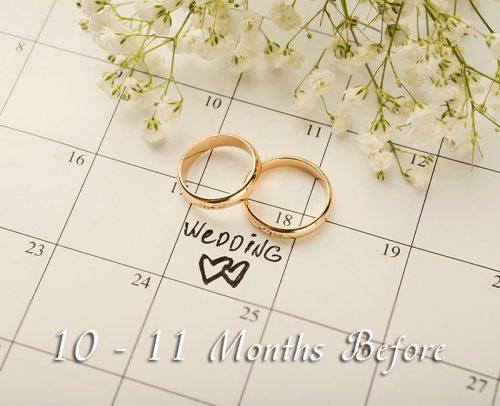 Keep in mind that there are some things to hold off on until you’re sure of date and venue. There are others to start immediately, like your wedding vows. Savor the moment and the engagement glow. Share your good news will all joy. Flaunt that ring to friends! 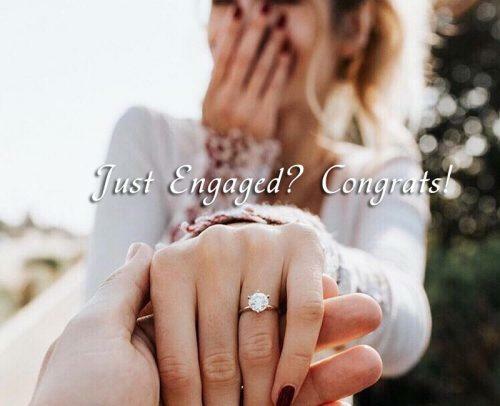 Plan an engagement get together or party! Begin to randomly pen essentials that make your dream wedding. All those fairy tale imaginations? Pen them down. Decide if you want a huge or small wedding, destination or local, backyard or Vegas, rustic or glamour themed! Get a free wedding planning checklist (available online) and you’re halfway there! Wedding planning might be exhausting, so don’t forget to have fun! 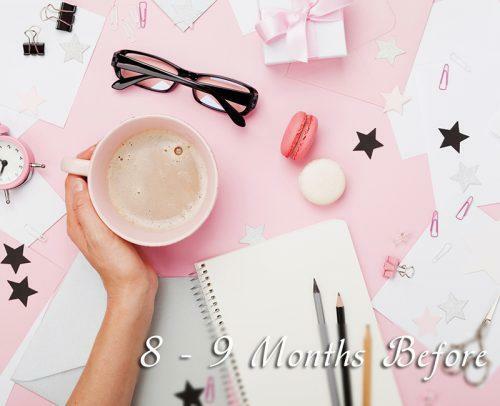 After all, there is nothing more important than your emotional balance and happiness – just put it on your planning timeline! Bring in an element of surprise to your planning! How? 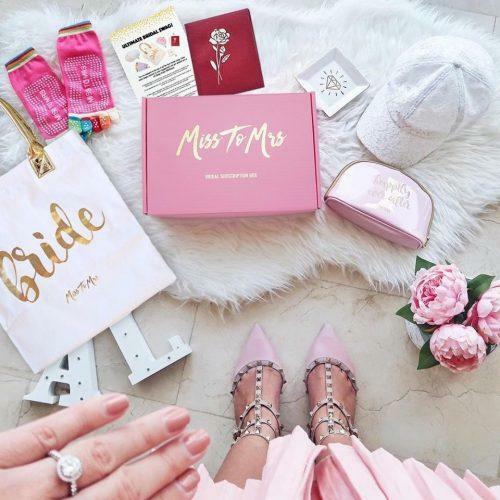 For example, treat yourself to Miss To Mrs Bridal Subscription Box. 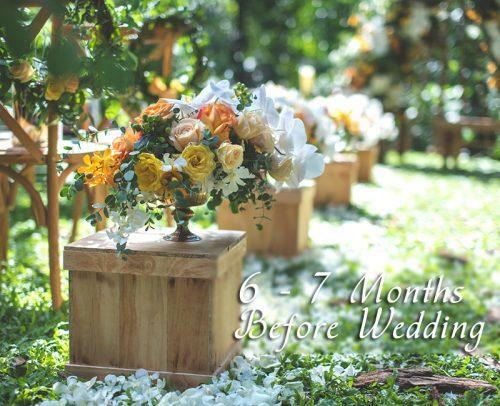 It is a great source of wedding inspiration for planning. Though you never know what you get, we are sure it will be something helpful. Last year the happy brides received such items as “Just Married” car decal, full garter set, bridal hairpieces, diamond wipes and other items they could use during and after wedding planning. 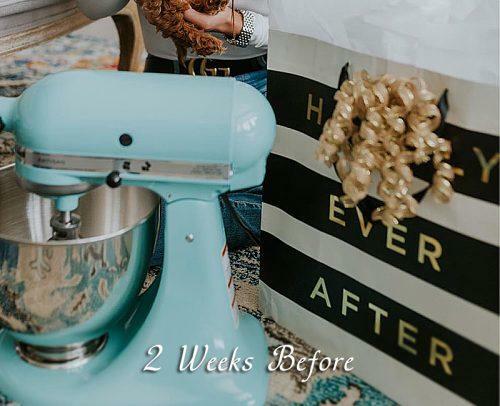 It’s a kind of surprise each bride wants to experience – a fun and useful wedding present each month before her wedding. Here’s where basic planning begins as you lay foundations and source many options. 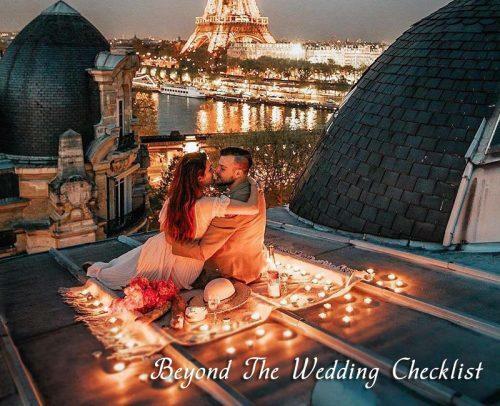 Get wedding checklist 2019 standard for help. 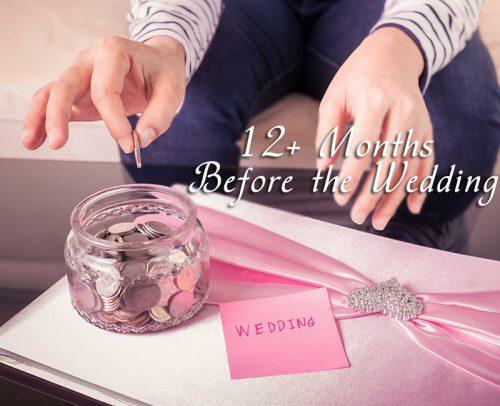 Decide on your wedding budget. Very important! Decide on your wedding style. Start sorting out your guest list. Get everyone (mother, father, fiancé, and in-laws) to bring in their list. 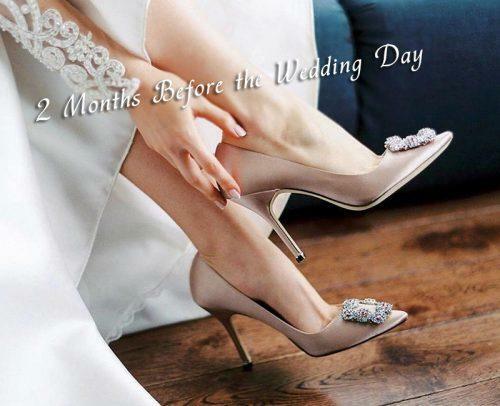 Choose multiple wedding dates (about 3), to reduce pressure and allow flexibility. Pick out as many venue options that you love, compare prices and services. Start building a wedding website. You need all the time. Pick out your wedding party (maid of honor, bridesmaids, and groomsmen). You need all of them for the task ahead. Assemble your team of vendors (Florals, caterers, photographers, emcees). Now is the time to check out their services, cost and job quality. Check for trending dresses and accessories. It’s time to get familiar with Pinterest. Get the most suitable wedding insurance package. Order your save the date stationery if you’re not going paperless. You now have a clear idea of what you want. This is where you begin to seal deals and inform guests. Visit and book the approved venue. Shop for wears and accessories of the bridal entourage. Send out your wedding save the dates. Book your vendors (caterers, band, emcee, photographer, and florist). Order that your dream wedding subscription box. This is when you get more detailed about your day and handle those things you are likely to forget. Sieve wedding guests you want to invite to specific parts of the wedding. 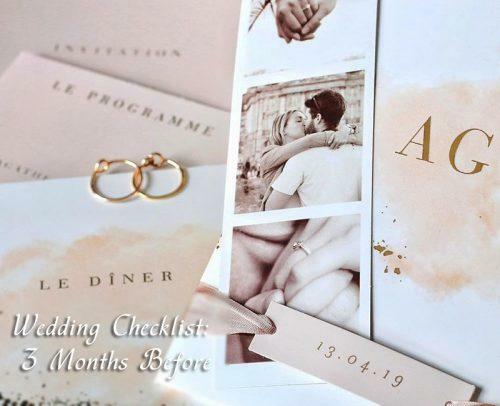 Pick out wedding designs for stationery (menu cards, programs, favors, thank you cards) that coordinates with your theme and website. Select few, suitable and affordable hotels to accommodate out of town guests. Hire a planner if you can afford it. But if you can’t, get a trusted person to see everyday activities. Create your wedding playlist and update or remove as your day approaches. Check out styles of wedding cakes, discuss this with your caterers and attend a taster session. Confirm bookings with entertainment vendors. At this point, you will start putting final touches to your wedding bookings and the comfort of your guests. Order thank you cards for those who will send in their gifts before the wedding. Start looking up how to write a great wedding invitation wording. 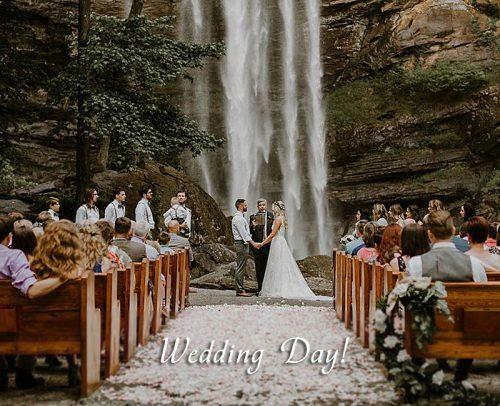 Meet up with the officiant to discuss your wedding day, wedding program and begin a marriage class if necessary. Check out trending bridal hair and make-up styles. Book transport arrangements to move guests to the wedding venue (s). Check out honeymoon destinations and start planning for it. You are gradually getting there at this point. All that’s left is more bookings and putting of final touches. Pay for the cake you have chosen. Conclude on the meal plan (in the absence of dietary preferences by guests). Pick a honeymoon spot and book. If it’s a destination honeymoon, start checking and updating your passports and other necessary travel documents. Prepare complimentary packages for out of town guests. Get an RSVP catalog to keep up with your guests. 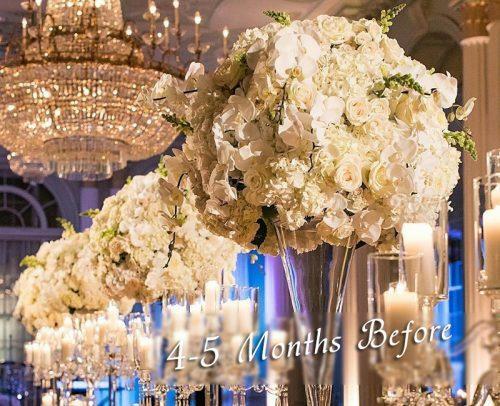 Choose your venue décor and flowers for every member of your bridal party. Book a place for your wedding night. You are gradually getting to the bottom of the ultimate wedding checklist. After this stage, you can start breathing. Book your hair and make-up stylists, let them know and experiment what you want. Conclude the drafts for your wedding vows. Purchase other items necessary like flower baskets, linens, toast flutes, guest books etc. Order wedding favors and menu cards, if you’ll use them. At this stage, you can start getting some rest as most of the tasks can be done from your phone. Give your band or DJ a play/do not playlist. Confirm that guests have gotten hotels to settle in. 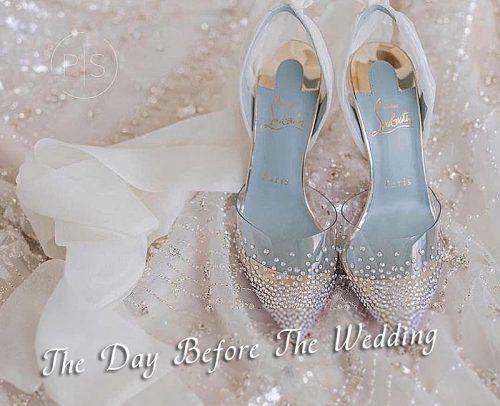 Get familiar with your wedding shoes. Apply for the wedding license. Draft the wedding program content. Go over the details of the ceremony with your officiant. Purchase wedding gifts for your bridal party. Send your order of wedding proceedings to the wedding party, vendors and officiant. Book a luxury day out for some pampering with your bridal party. Here, the planning pressure starts giving way for wedding excitement as you start putting finishing touches to your wedding. Confirm reservations for the honeymoon. Pick up the wedding programs. Go for the final dress fittings. Call vendors to confirm availability. Mail time, dates and location to vendors. Pack up for the honeymoon. Draft handwritten thank you notes for gifts arrival. Things are shaping up, we are almost there. But there are some things not to ignore. Follow up on guests who have not confirmed. Arrange for care of your home and pets (if any) during the honeymoon. Give caterers the final guest count and guests dietary preferences (if any). Update registry one last time. Delegate people to duties at your wedding. Delegate people to carry out after wedding activities. Send directions and time to transport providers. Your day is almost here. It is time to get the planning over with and focus on yourself. Get your dress and accessories delivered. Do not fail to try all of them out. Get a manicure and pedicure. Feel cleaner and fresher. Pack an overnight bag, a going away outfit and honeymoon luggage. Get all your travel documents into your luggage, so you don’t forget them. Let someone; a family or friend know where you’re off to for the honeymoon. Pack up a bridal emergency kit. Delegate a trusted friend or family to act on your behalf (receive calls and guests) through the rest of the wedding. Give scripts to their various readers. Give vendors all payments and tips you have for them. The excitement leading up to your wedding day heightens. This period onwards is all about you. Check that everything is intact. Rings, marriage license, cash, vows, travel documents, dresses and, those choice undergarments. Send out complimentary gifts to out of town guests arriving. Book a time out and relaxation session at the spa for just you. It is finally your big day! Glow up and show up to one of the best days of your life! Bask at the moment and smile a lot. Let your joy show. Appreciate everyone (family and friends) that have held your hands through the planning process. Give your rings to the best man. Go ahead and get married! Beyond the wedding planning list, you should ensure that everything goes back to normal and everyone who came gets appreciated. Send out thank you cards to everyone who made the wedding successful. Delegate someone to return rentals. Make sure to send all attires to the dry cleaners and accessories to their owners. Settle in and enjoy the first day of the best days of the rest of your life! Here are our expertly curated ultimate wedding checklist. Download it for free! Every bride has that crazy moment when they feel like it’s over and they can’t deal with the wedding planning anymore. Follow all out trusted tips to how to make a wedding checklist and have a smooth wedding planning. 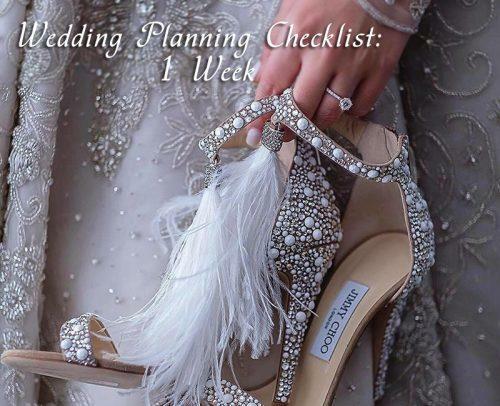 Our wedding checklist is suitable for both simple weddings and extravagant weddings. Just find out what works for you, utilize them and cross out the ones you don’t need. Whichever way, you’re guaranteed a fun, timely and seamless preparation using our wedding planning checklist!